Your total RV Sealing Solution Expert. 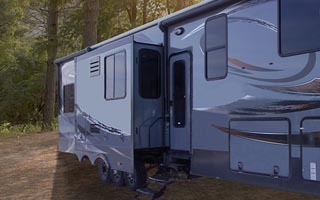 Building upon Boyd’s decades of experience in RV sealing solutions, RV bottom pans for both standard and flush floor RV slide-out rooms are our newest innovative solution brought to market. Boyd’s RV bottom pans combine slide-out room wear bars, bottom wipers, pans and an RV splash guard in one, cohesive extruded design. This contemporary and proprietary one-part RV extrusion design replaces the industry standard requiring assembly of multiple components - helping you reduce labor and assembly costs.